A poorly timed message is about as powerful as a badly timed punchline. Timing is of the essence. Using Events in Intercom, you can now combine the live insight Intercom gives you into who your users are with the knowledge of what they are doing in your product to set up trigger messaging. Imagine the possibilities. Behavioral messaging is the use of action-based triggers to send automated notifications to customers. To implement, place an order as an event, then use that event to trigger a relevant, timely, and contextual message to your users. Why does McDonalds ask this just as you have ordered your Big Mac? It’s relevant – I mean, who doesn’t want fries with their burger? Now, imagine your product was like McDonald’s and you are using Intercom to track, personally communicate with, and keep your users coming back to your product for more. 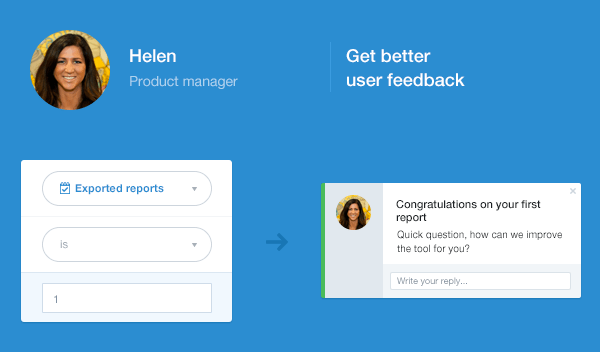 Product managers, growth marketers, and customer success agents are already using Intercom to send well-targeted, tested, and personal messages to users. The Events feature let them send triggered messages at the perfect time to further increase customer engagement and conversion. Using Events, product managers can trigger an in-app message when a user performs an action in your product, like using a new feature. 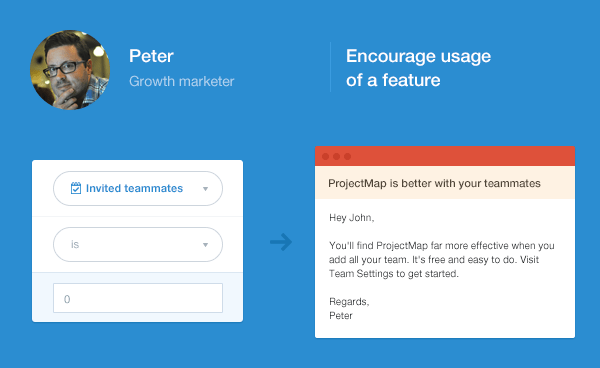 The best time to get customer feedback on a feature is as soon as it’s been used. 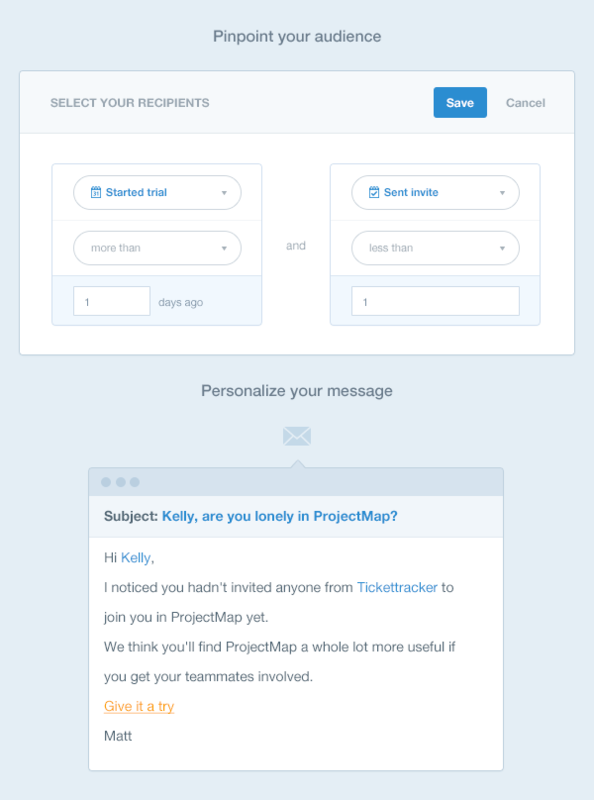 If you’re a collaboration product and you know that the more users there are in a trial, the more likely the trial is to convert to a paid account, then you can use an Event to trigger an email to users who are yet to invite a teammate, encouraging them to do so. 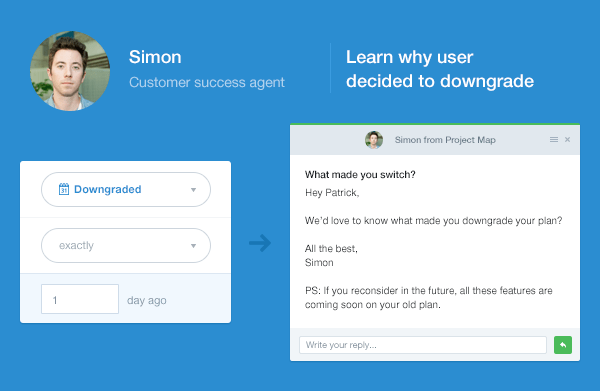 If you care about why a user decided to downgrade to a lower plan (and you should), then use an Event to trigger an in-app message asking for product feedback as soon as they downgrade. You can quickly identify concerning trends, and replies can be easily fed to the product team who can take appropriate action. Take what you know about who your users are (User Attributes) and combine it with what they are doing in your product (Events), and you’ve got a recipe for success. The team at AgoraPulse, an all-in-one platform to manage your Facebook page, were our heaviest users during the beta period, and it’s paid off for them in spades. They use Intercom to automatically send an email to users immediately after they download their Quiz app for Facebook. 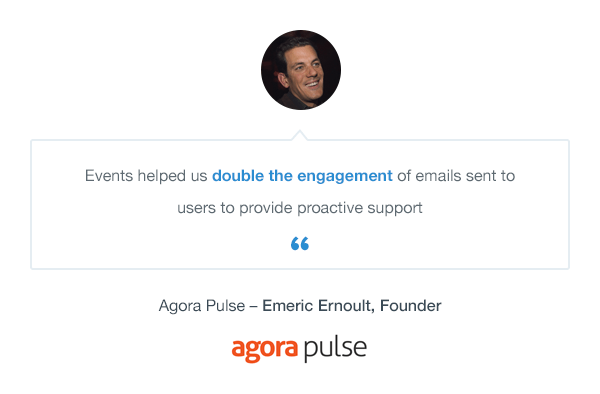 The email is packed full of tips, tricks, and useful resources to drive customer success. The email is nothing new, but the fact that it’s now sent at the perfect time based on an Event is. “Looking at it, I saw it had a 35% open rate (that’s an email), that’s way more than our typical 25% open rate! And the CTR (11%) is also twice as much as what we get with “regular” emails. Now, we need to A/B test this with an in-app message to see how they compare”, says Emeric. Nice work. 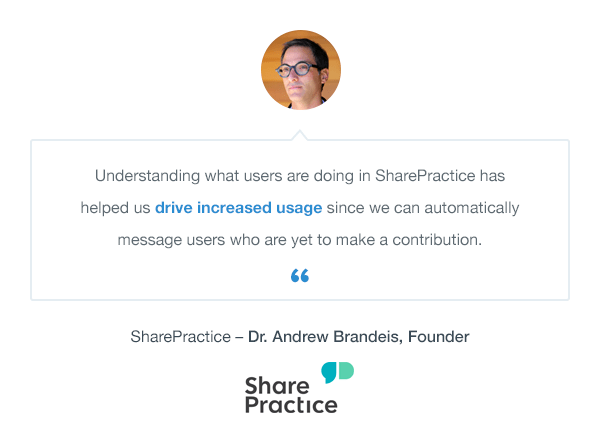 Over at SharePractice, an online community for healthcare professionals to share knowledge, aid confident decision-making, and improve patient outcomes, the team have been using Intercom to increase adoption of the product. Using Events, they can automatically identify users that are yet to make a contribution and send them a personal message encouraging them to login and give back to the community. It’s working. We believe it’s crucial to see what users are doing in your product in order to deliver them the absolute best experience. That’s why Events are available for every Intercom customer for free. Check out our docs on Events and watch this quick video Ruairi put together to help you get started. A big thanks to the team behind the scenes of Events – Michelle (Product Manager), Bill (Principal Engineer), Bob (Engineer), Declan (Engineer), and Jamie (Engineer).